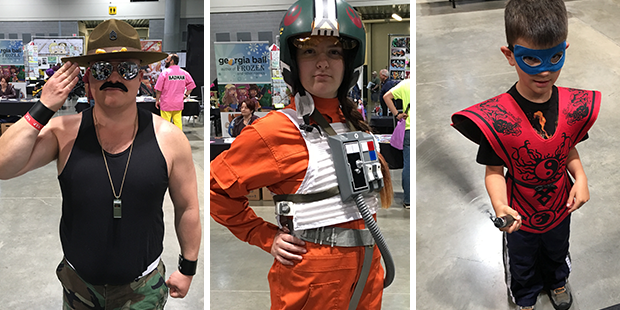 This weekend I will be returning for the 2017 celebration of Lilac City Comicon in Spokane, Washington. 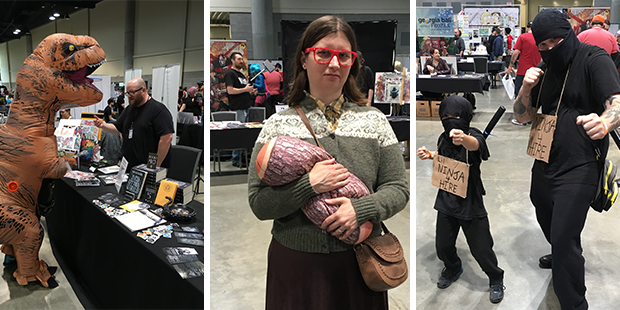 This year the convention is two whole days running from Saturday, June 3rd to Sunday, June 4th. If it’s anything like the last few conventions, it’ll be a blast. I’ll once again be sharing a table with comic creator and dinosaur enthusiast Josh Montreuil and we’re both bringing a ton of great stuff. Triceratots, by Josh Montreuil – debuting at LCCC 2017! Sir Montreuil will have his new debut comic, Triceratots, available! I’ve been given a preview, and it’s not only incredibly fun, but it’s downright adorable. If you’re a fan of dinosaurs or know someone who is (I mean, who isn’t? ), be sure to pick it up. He’ll also have a bunch of fresh prints and will be available for sketch commissions. 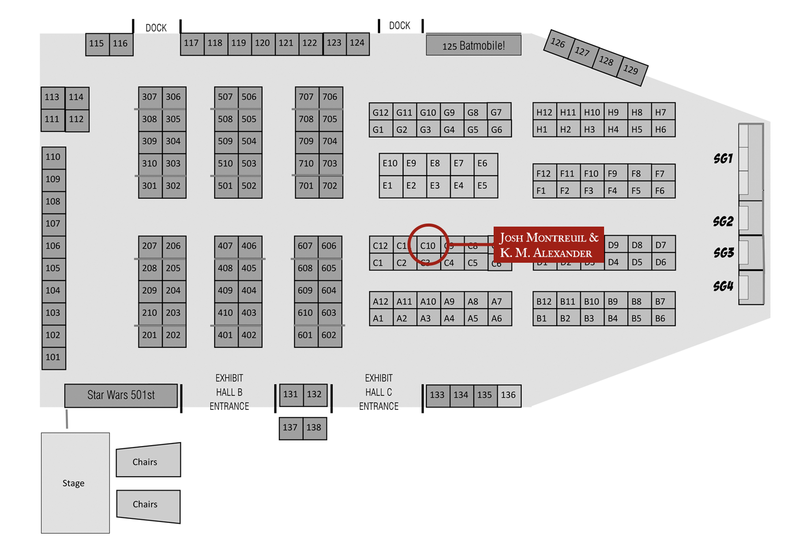 You can find Josh and me at TABLE C10 right in the center of it all. Click the image below to see where you can find us on the full map. It’s like a treasure map, but you’ll be crossing booths filled with cool stuff and not boring desert islands. I’m looking forward to the weekend, there are a ton talented people participating, and the 1966 Batmobile will be there! 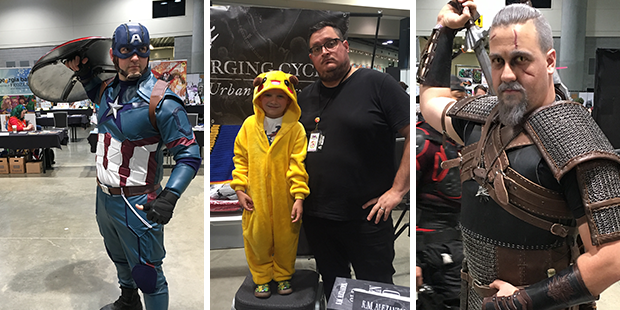 Check out the full guest list and complete exhibitor list over at the official Lilac City Comicon site. I’ll see you there! If you live in the Seattle area, I have it on good authority that The Bell Forging Cycle is now available at the University Bookstore in the U District! Hooray! Huge thanks to Jason for helping make that happen. It’s nice to see my books in a local bookstore. Hopefully, they find a home with someone who will love ’em. Also for Seattle folks, recently I found some leftover advanced review copies of Old Broken Road and Red Litten World in my office. So, I took some time to distributing them to a few Little Free Libraries around the city. I’m not saying which ones but they’re all over so keep your eye out and don’t forget to support your local Little Free Library. I’ve gotten a few emails from readers, so I figured it’d be easiest to address this here. 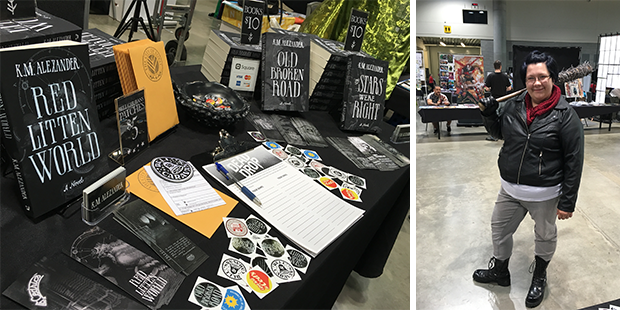 Yes, I’m still out of stock of both signed paperback copies of The Stars Were Right [I sold out at Lilac City Comicon] and it’s associated Swag Pack over in my store. Typically I’d be replacing them ASAP. But, I rolled right from the convention into a week and a half of travel [which you can read about here], and it delayed things a bit. Ah, the joys and perils of running your own storefront. Amazon – Barnes & Noble – Powells – BAM!